Stunning home in the Haciendas at La Quinta. This beautiful home is overlooking the lake and 12th hole of the Dunes Course! 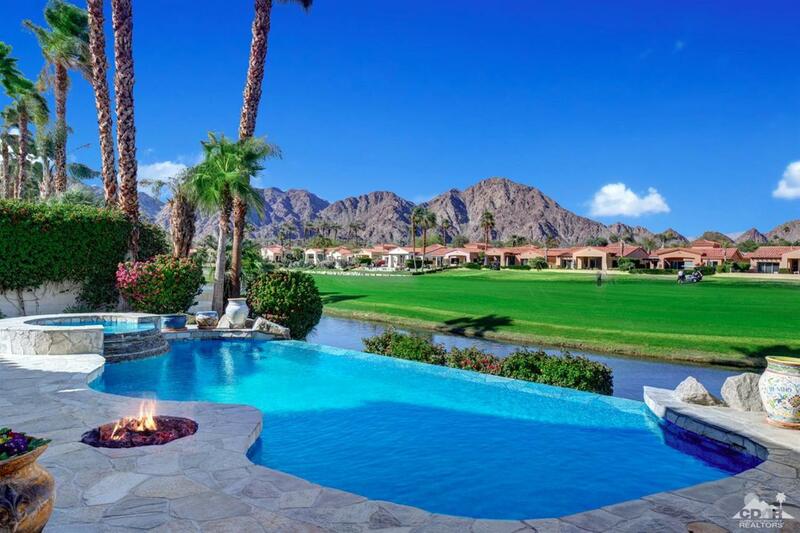 Offering gorgeous mountain views from the patio & infinity edge pool & spa. Built in BBQ Island & fire pit for great outdoors entertaining. This home offers new paint and has stone tile floors, wood interior doors, granite counter tops, stainless steel appliances & wet bar with beverage fridge. Dining room for entertaining and custom built in shelving in the great room. 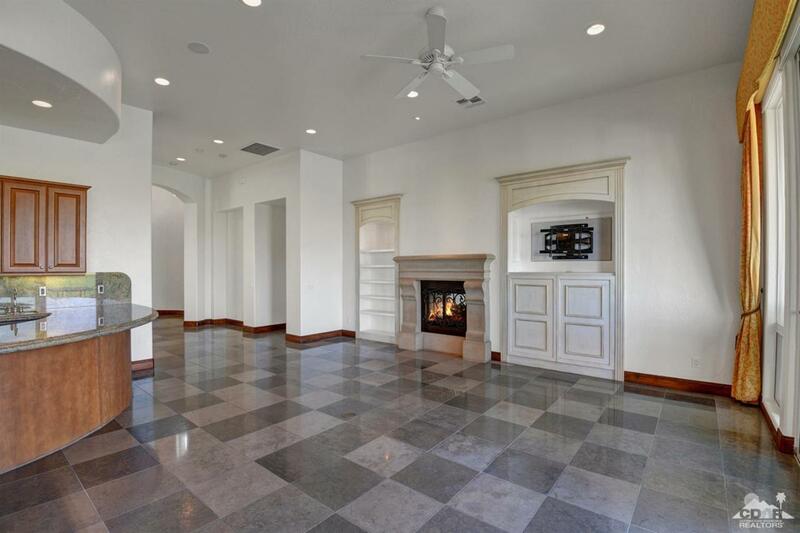 Two-way fireplace in great room opens into the Master suite for those chilling nights. Master bath has large walk in closet with custom built ins, soaking tub, double vanities & walk in shower! Convenient private office off of laundry room! Your guest will feel right at home with the casita offering fireplace, walk in closet and private bath! 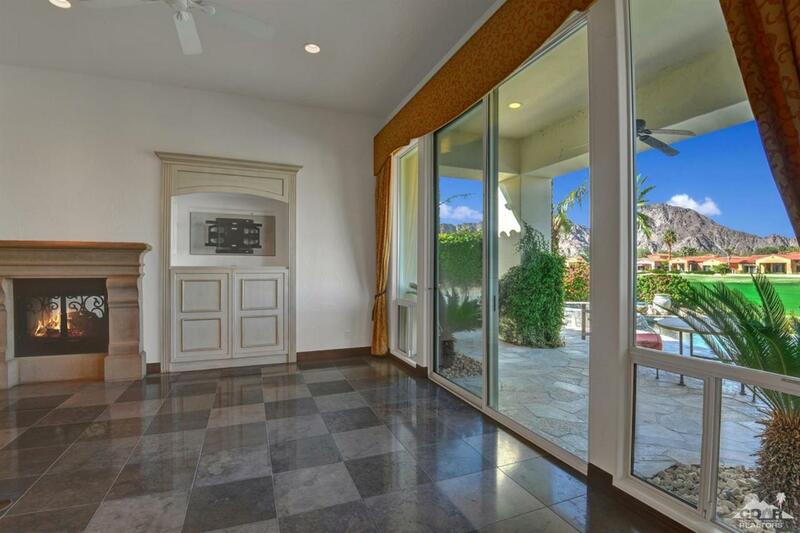 Walking distance to the La Quinta Resort & Spa & Old Town La Quinta. This is a must see!